Besides handbags, cardholders, aprons, and doggie scarves that I make for the store…I like to spend some of my free time making other crafts just for me. 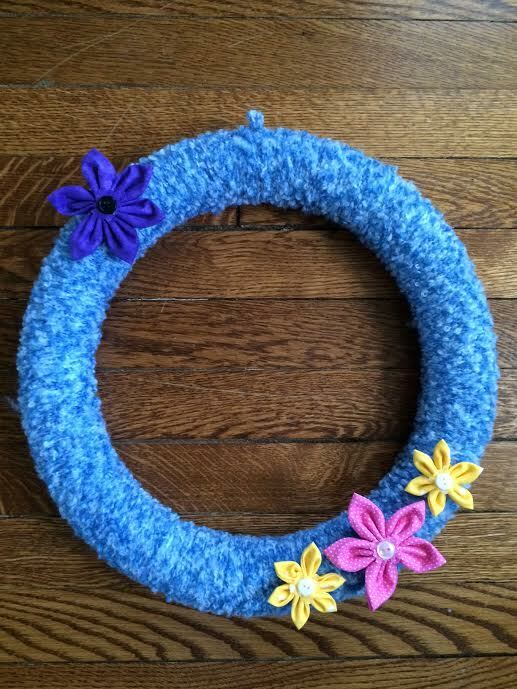 This past weekend I made a spring/summer wreath with yarn and little fabric flowers, and I plan on hanging it outside of my front door. 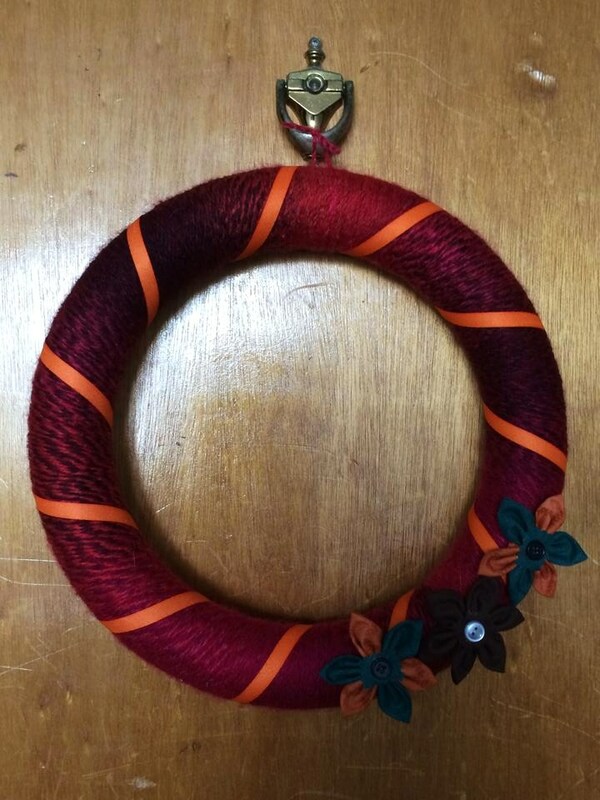 Last fall, I made a similar wreath that I hung on my door which was also made of yarn. Making this wreath, made me want to share some of my recent and past creations that I have made for myself and for other people. 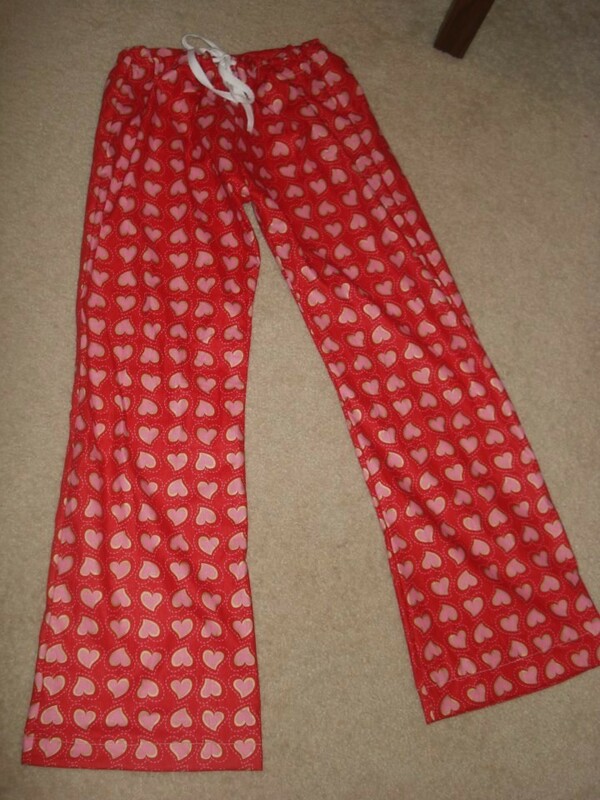 A few years ago, I learned and began to sew clothes for myself. A few girlfriends of mine would get together, hangout, sew and make clothes! 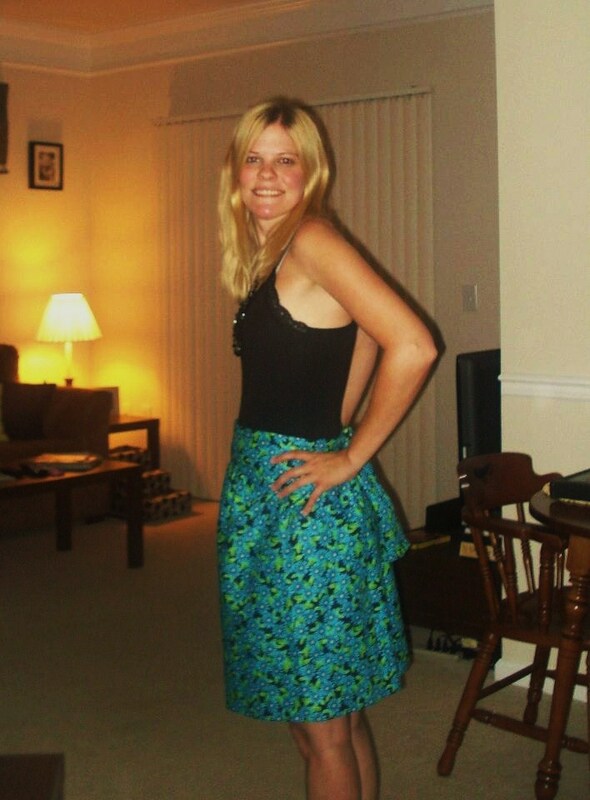 I have made a few skirts, dresses, and pajama pants. 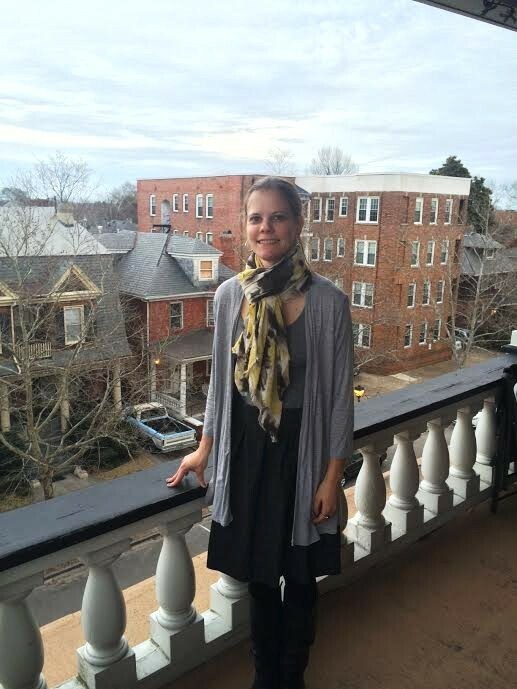 However, my favorites were the dresses that I made from cotton fabric and tank tops. They were pretty simple to make…all I had to do was cut the bottom half of the tank top, attach some elastic to the fabric, and sew the fabric onto the tank top! I have made quite a few of these dresses (they were so addicting to make and so comfy! 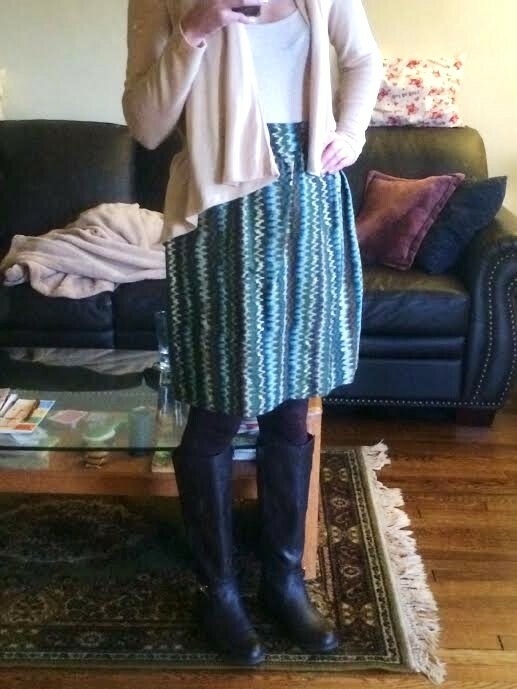 )…some I only wear in the summer, and the other dresses I like to style with boots, leggings, and scarves in the fall! I came across these tank top dresses from pins on pinterest and blog tutorials. 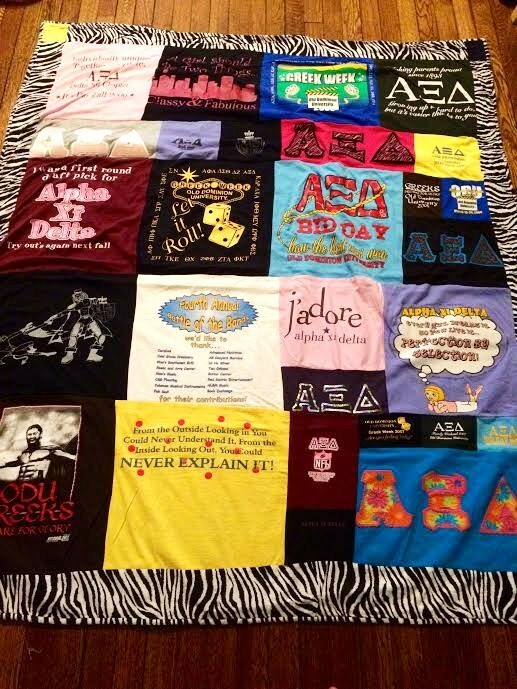 My proudest creations were my T-shirts quilts. I had kept most of my old sorority shirts from college and I didn’t just want to throw them away! I decided to make a quilt out of them, which also included a border with my sorority colors and mascot (zebra print) fabric. 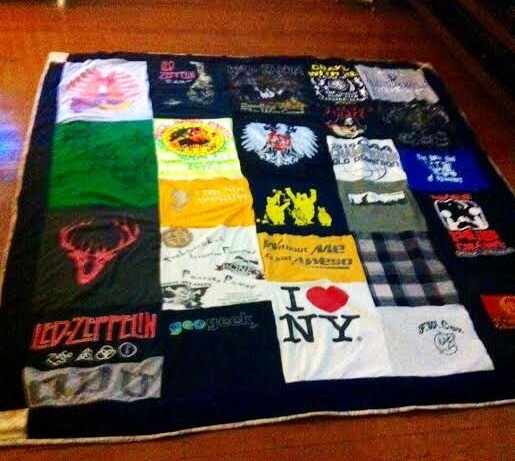 I also made a quilt for my boyfriend out of his old t-shirts he grew out of. I am very proud of how both quilts turned out, and glad I was able to up-cycle old shirts. 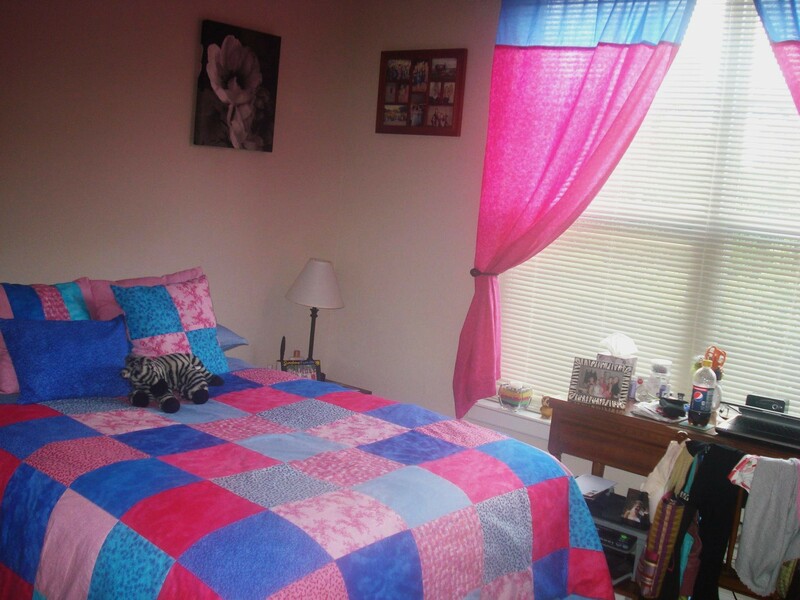 A few years ago I made my own bedroom set, which included a pink and blue quilt with matching pillows and curtains! I loved how the colors turned out and how everything matched so perfectly in my bedroom. The quilt took some time, but the pillows and curtains were pretty simple. I plan on to continue to make more quilts and decor for my home, and fabulous clothes to wear!